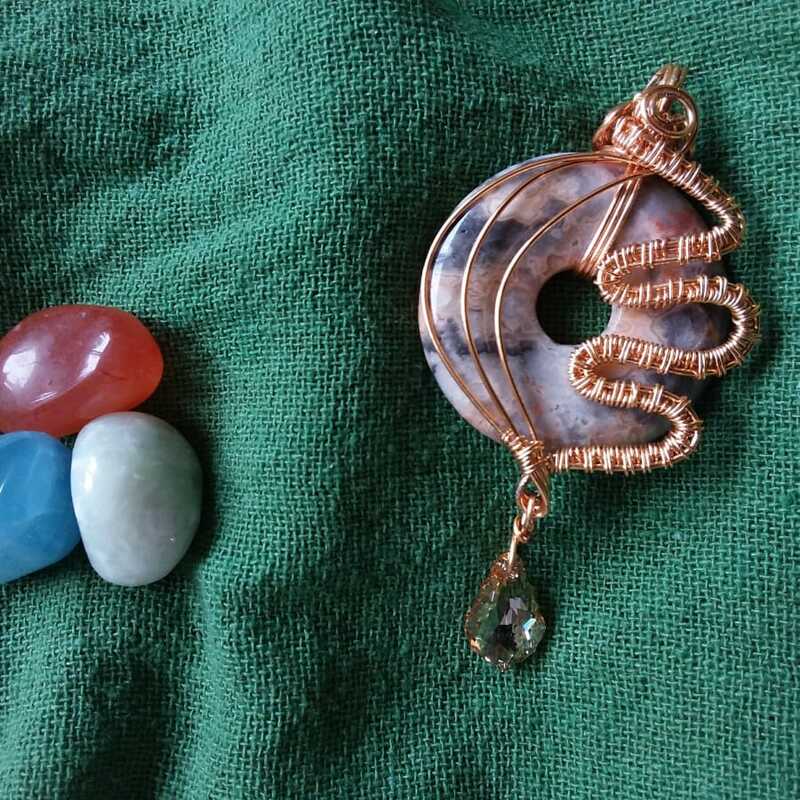 You will create a luxurious finish vintage pendant in a half-day workshop, in wire wrapping technique. 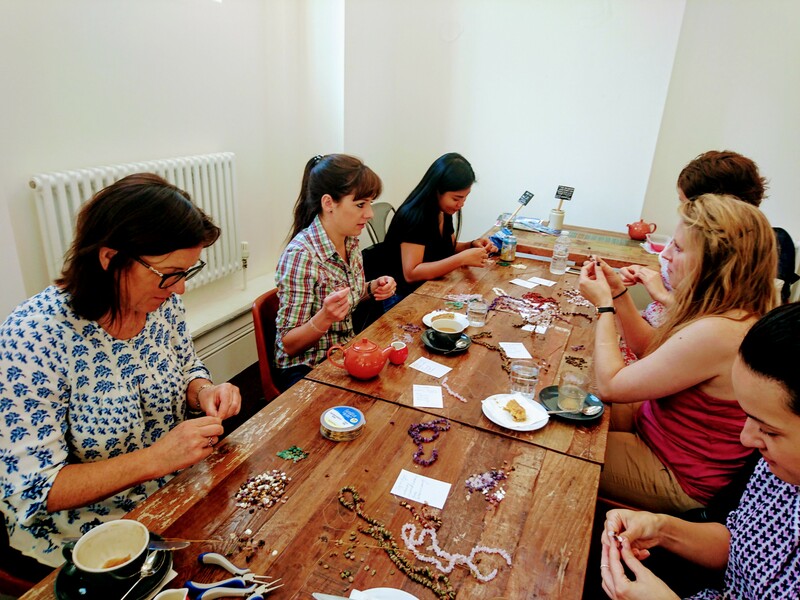 This is an informal jewelley workshop where you will create a vintage inspired pendant using gemstones and other beautiful beads carefully chosen to match your jewellery. 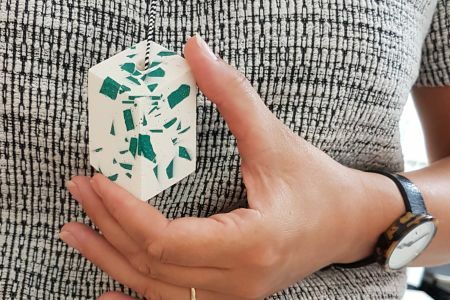 If you have a curiosity how to create unique pieces of jewellery, this workshop is for you. 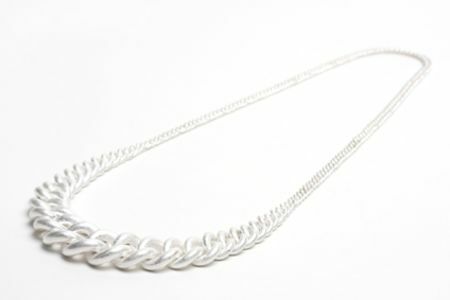 The technique we are going to use is wire wrapping which allows us to create unique shapes and patterns with a luxurious finish. 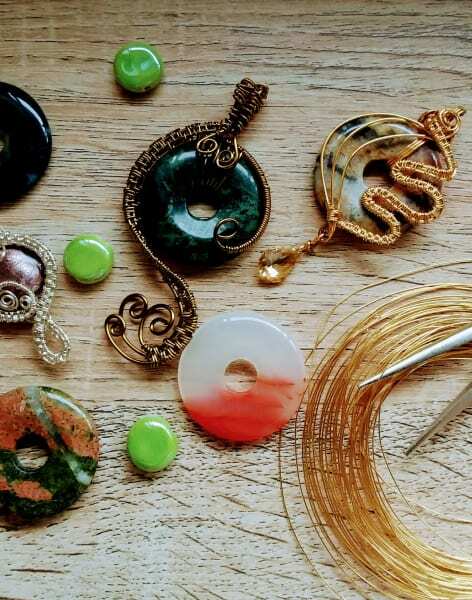 This workshop is suitable for someone who has some previous skills in jewellery making, however if you feel curious you can join without experience as I will try to accomodate everyone. I hold the workshop in small groups of maximum 4 guests so I can pay attention to everyone. All materials are included.. You'll only work with high-quality materials such as healing gems, silver plated and enameled copper. 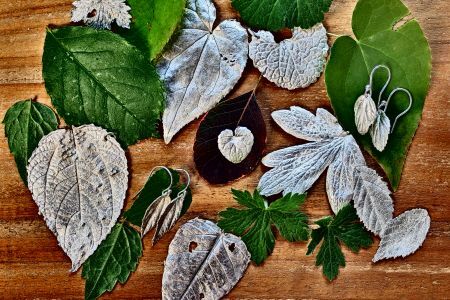 The workshop will be guided by Amelia who is a London based artist, crystal lover and mindfulness coach. She creates spiritual jewellery and mandala art and she hosts creative workshops and mindfulness day retreats in London. Her passion for jewellery started 10 years back and she never stopped since. She loves to guide people to express creatively and find the balance in a hectic London. Explore Art is a mobile creative studio which welcomes people to explore their own creative potential through creative workshops and classes. We believe that we are all born with a creative side within which sometimes might be dormant. Our mission is to bring this to light again. 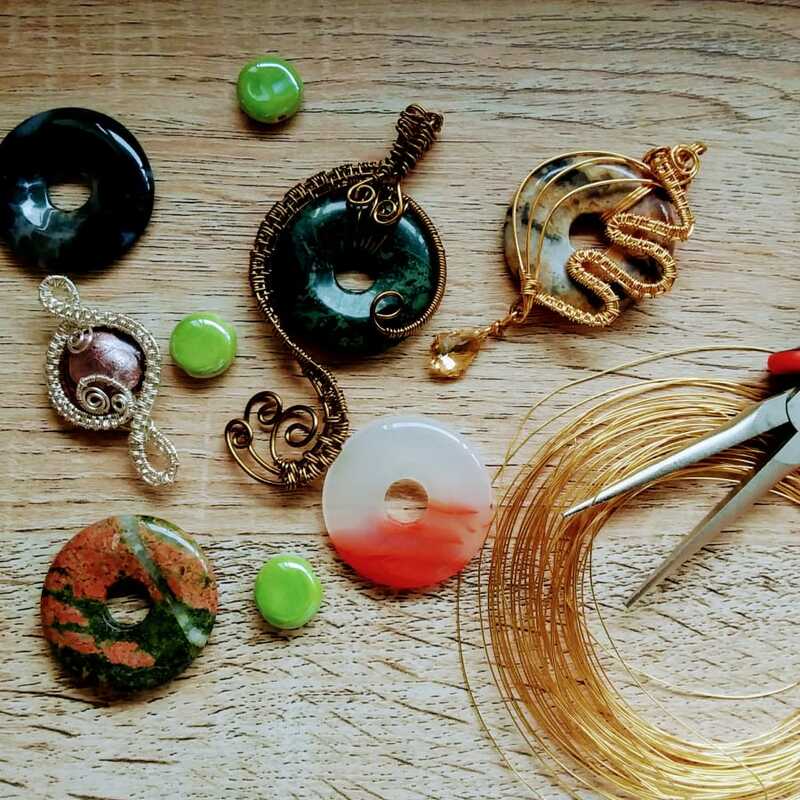 Your teacher is a jewellery maker with over 10-year experience in various crafts activities from jewellery making to crochet, paper-craft and other techniques. Workshop suitable for jewellery curious persons who have some basic experience in jewellery making.